and you must must must check the official BACA@LRT facebook album with over 140 photos! thanks to Zamri for the link. he's getting an x-ray done, for his persistent headaches. 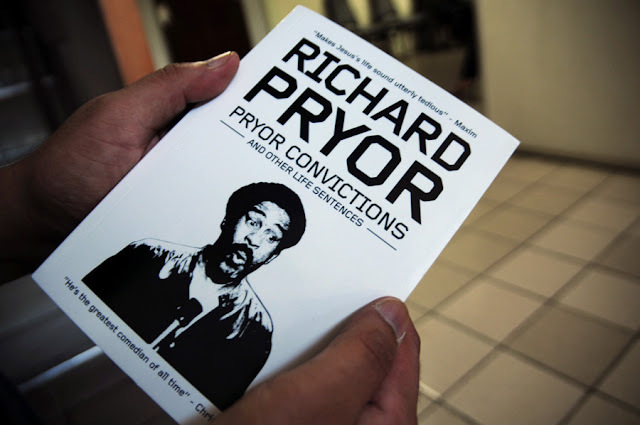 Richard Pryor is his favourite comedian. He's sad he never got to see him live, but the book did come with a dvd boxset, gifted by a friend. He says he likes "history books & serious fiction that can make me laugh." The last book he read was DBC Pierre's Ludmila's Broken English.